Below are the amazing people that make up Wagging Tails. They are caring, genuine and lovers of all things dog. Wagging Tails would not be what it is without them. 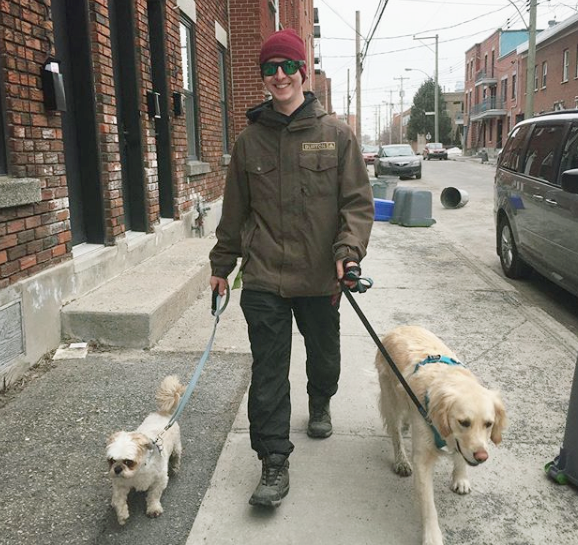 Mikey started walking dogs with Wagging Tails in March of 2017. Before then he was working in construction and dreading every minute of it. Summer is our main pet sitter and trainer. Her love for dogs and our local community lead her to do her canine behaviour apprenticeship with Gaby Dufresne-Cyr of Dogue Shop. She hopes to use what she has learnt to better the lives of the local dogs and their owners. Katrina is Wagging Tail's top dog. She started walking dogs in 2009 while still attending university and hasn't stopped since. Her love for dogs has only grown inspiring her to open Pawse Boutique with her partner.